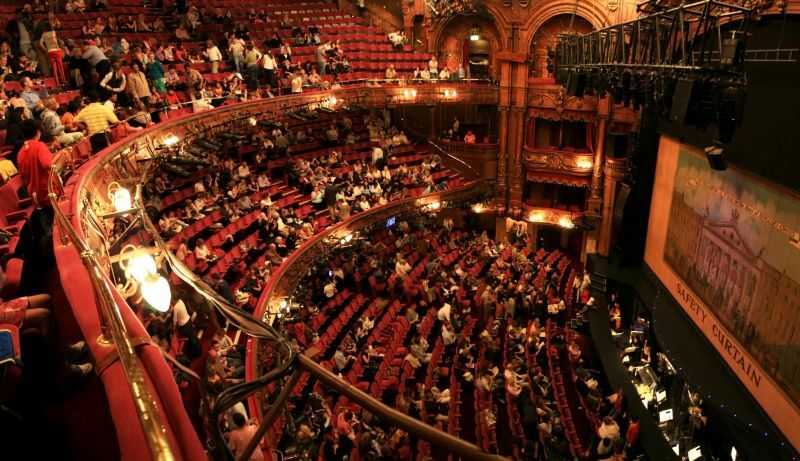 The London Palladium is a world-famous theatre located near Oxford Circus. It’s home to the Sound of Music musical revival. Based on a true story, this musical was first an autobiographic book. It was then filmed in 1965 staring Julie Andrews as the singing Maria. Beautiful Julie was already the start of another movie musical in which she was another nanny, and it’s no other than Disney’s Mary Poppins. The later was adapted as a stage musical in London as well, before it closed last 12th of January. In the Sound of Music, Maria leaves her covent to be the nanny of 7 children in a rich house where music is banned. The mother loved to sing, and since she’s dead the father forbid music in his house. But Maria can’t help and HAS TO sing all the time. She eventually teaches the children to sing as well. I won’t spoil you any more of the story. Just know that the Von Trapp familly eventually became quite well known in Austria in 1938, when the story unfolded. Hope you enjoyed it all! See you next time for some more great fun, away from the show business this time! Take care!